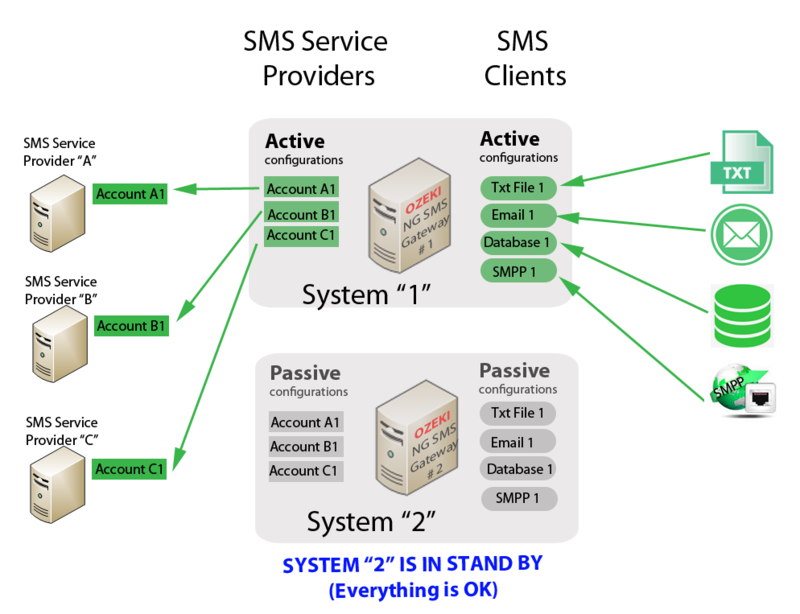 In a failover cluster setup only one of the Ozeki NG SMS Gateway nodes operate at a time. We destinguish the primary node (System "1") and the backup node (System "2"). The primary node serves all the clients at any give time, the backup node serves none. 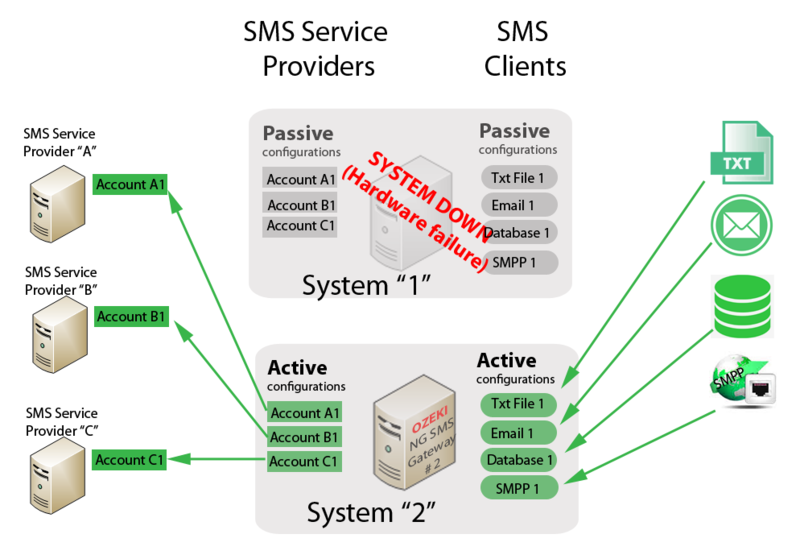 The primary node is connected to all the sms service providers, the backup node is not connected to any provider. During normal operation the primary node is "On-line" the backup node is "Off-line". In this setup the primary and the backup node usually share a common storage facility, called shared disk or quorum disk. This shared storage option allows the two system to be synchronized. In case the primary node goes down because of a hardware failure, the backup node is automatically activated. It picks up the configuration and the message queues from the shared disk, and continues to provide the service where the primar node left off. Please note, that this configuration requires persistent message queues. The failure detection and the switchover can be achieved by setting up the Microsoft Failover Cluster solution for Ozeki NG SMS Gateway. The benefits of this configuration over the Live cluster setup 1 and Live cluster setup 2 lies in its simplicity. The configuration is easy, because only the primary node needs to be configured. The shared storage facility provides a way for the two nodes to share the configuration. This setup is very popular among our clients.